Personalise your Dower and Hall Cherish locket with this Sterling Silver forget-me-not flower with a bright amethyst stone at the centre. A beautiful symbol of faithful love and memories, and a fabulous gift for a Cherish collector. The collectable treasures capture your most precious moments and create a personal accessory that can be cherished for years to come. 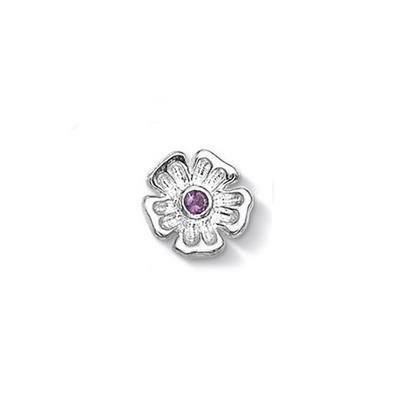 This charm is 9mm in size and fits the small, medium and large Cherish lockets.